The Sebenza 21 from Chris Reeve Knives has set the bar very, very high for folding knives. These knives are top-notch in every way. 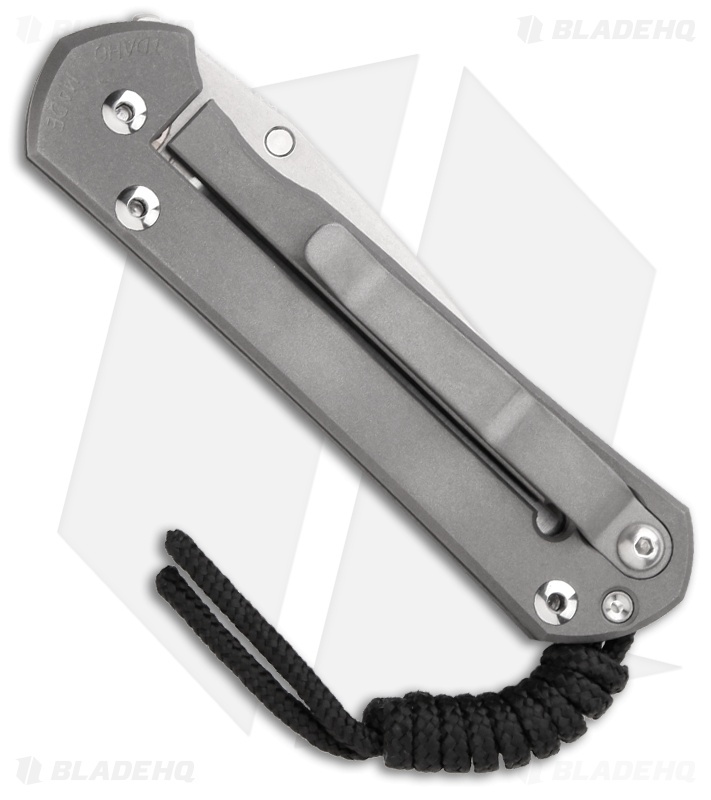 In addition to the "standard" Sebenza model there are several types of customizations available from Chris Reeve Knives for the Sebenza. This listing is for a Computer Generated Graphic (CGG) Sebenza. The graphic is created with CAD/CAM (computer aided drafting/machining), then transferred to a CNC machine for milling. 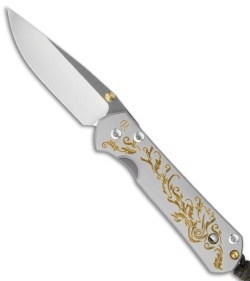 There are several styles of the Small Sebenza CGG to choose from. 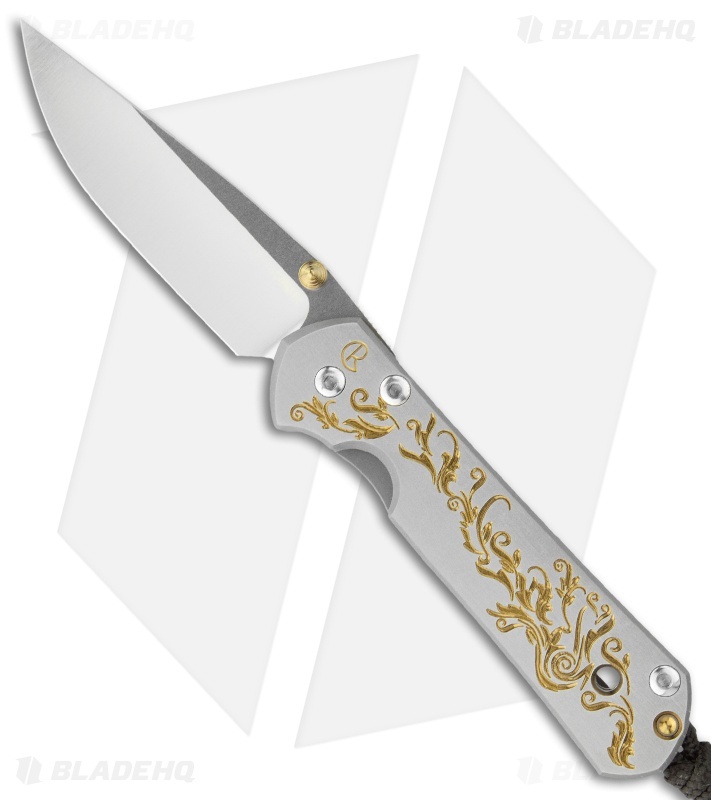 This Small Sebenza 21 features a satin finished titanium handle face with a "Gold Leaf" computer generated graphic (CGG). The framelock and pocket clip are bead blast finished. Outfitted with a gold thumb lug and spacer. This Sebenza has a polished S35VN stainless steel blade. Includes lanyard and leather pouch.